Once upon a time in 2010, a group of New Orleans women decided they wanted to dance, but their dream was bigger than that. They realized they wanted to start something that encompassed not only the spirit and spectacle of Carnival, but also the camaraderie and community of the unique take on Mardi Gras in New Orleans. 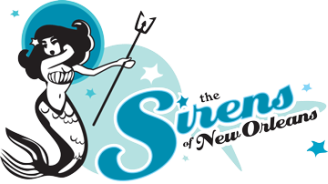 They created the Sirens with a vision of a krewe that would shimmy and shake during the dizzying days of the Carnival season and would spend the rest of the year improving the health and wellness of women and children in the New Orleans community and supporting the education of marine life, nautical interest, and things that are NOLA-centric. In a short time, the dream has grown and evolved into the Sirens of New Orleans. 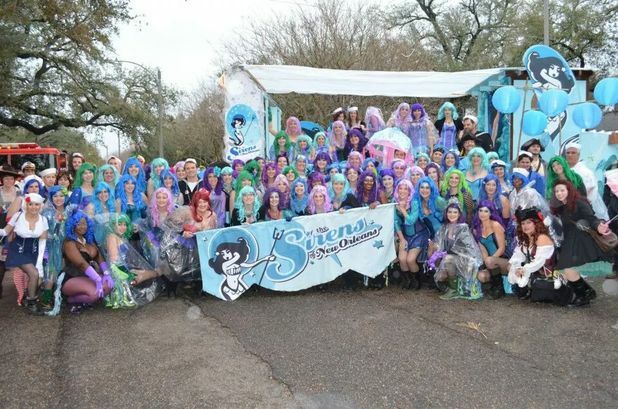 Today, we are made up of 85 dancing mermaids and the Sailor Corps, a support corps made up of over 70 sailors and pirates who walk with us during parades and lend their energy and expertise to our charitable efforts throughout the year. Bringing the spirit and pageantry of Mardi Gras into everything we do, the overarching mission of the organization is to serve our community with hands on philanthropic activities and fundraising. Through parading and performance we strive to embody the spirit, beauty, and pageantry of carnival year round. Look for us shakin’ it on the parade route and at special events throughout the year. Will you be the next to be enticed by the irresistible call of the Sirens?